It is possible, even highly probable, that we can eventually stray off the socially accepted path and end up finding random treasures. Such is the case with an Etsy user “xrk971”, who has fashioned one of the best portable amplifiers I’ve ever come across for the price tier. A supremely humbled guy and craftsman: a trinket smith who happens to sell true diamonds out in the furthest corner of the Cave of Audiophiles. Head over to https://www.etsy.com/shop/XRKAudio if you are interested in purchasing his work after you read through my article. User Xrk971 was gracious enough to send me both his standard model amp that sells for $199, as well as the Uber Hand tuned model that sells for $277. He offers some hand tuning options and will work with you to customize the sound, so open a dialogue with him through the Contact method on his shop page and see what you can come up with for customizing tuning options and component usage in your amplifier. 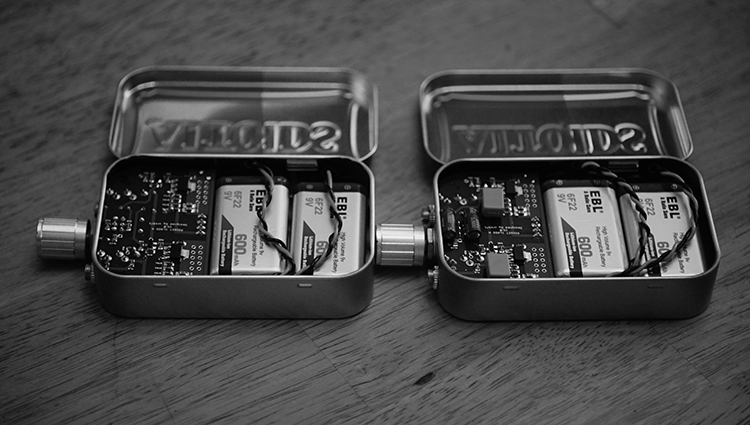 Both models use the same Cmoy Altoids Tin box that most of us have purchased in the past at one point or another…but this isn’t your typical Cmoy. This is a wolf in sheep’s clothing. A mint lv100 Charizard Holographic found at the bottom of a lot of Pokemon cards you bought for five dollars, the Super Saiyan of budget portable amplifiers, unquestionably. 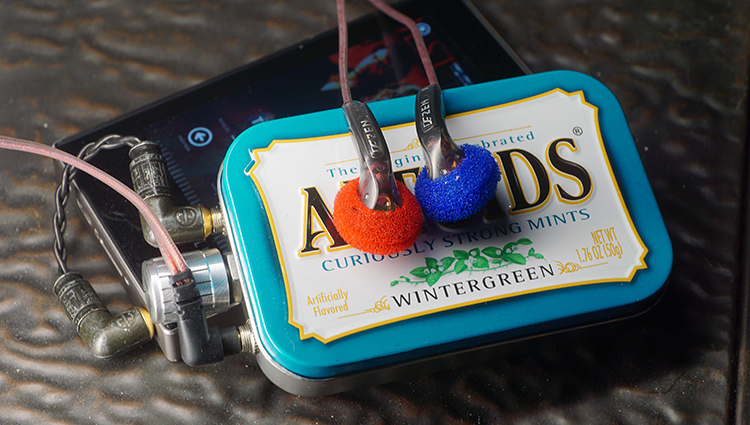 The aluminum tin is nothing special, nor are there any fancy connectors. It is very basic and cost effective. You might also receive a standard 3.5mm interconnect, but that is about it. 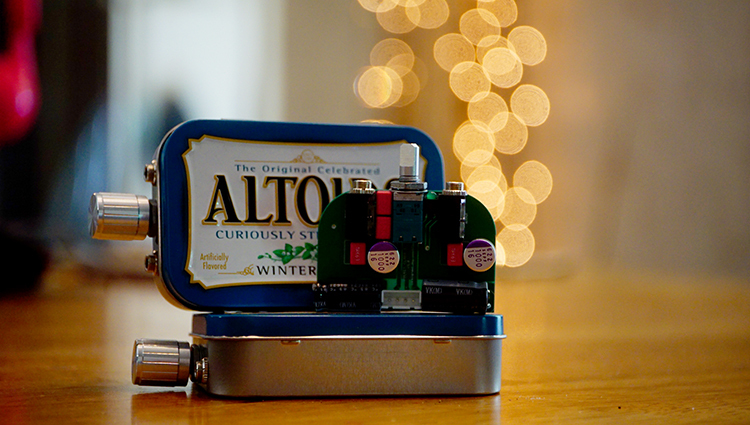 The build is just fine on these tins, but I wouldn’t go tossing it around and the vivid colors used on the tin’s paint job will scuff if you strap a portable music player to it while on the go. The amp requires 9v batteries, so it might also be wise to buy rechargeable 9vs and a recharging station. If you plan to strap a source to one of these amps, maybe, consider some drawer lining material to place between the source and amplifier so that they do not scrap over each other. Both of these amp versions house exceptional musicality. In fact, the musicality factor on the cheaper model significantly improves my more neutral sounding Cowon Plenue M, which I am just not at all fond of, but am stuck with in terms of portable music player options merely because I am too lazy to go hunting for a better DAP. The Uber version’s bass quality matches my Cowon Plenue M (originally $899), which is something not a single portable amplifier sub $1000 has ever done. I’ve been a long time owner of the RSA SR71B from Ray Samuels for years and now I can safely say that, at least for anything outside of power needs, I won’t be using it anymore. Purity and raw quality are very good but very boosted as well in terms of quantity. Neither lacks, but you can instantly hear and feel the quality significantly increase when A/B comparing the standard model to the Uber. Not that the standard is bad, I still rate the standard model as nice in its own right. But, the Uber version is something special. Liquid bass is what I’d call this and it is a tonality and quantity combination that simply does not exist in a single mainstream portable amplifier from any popular portable amp company that I can even name. 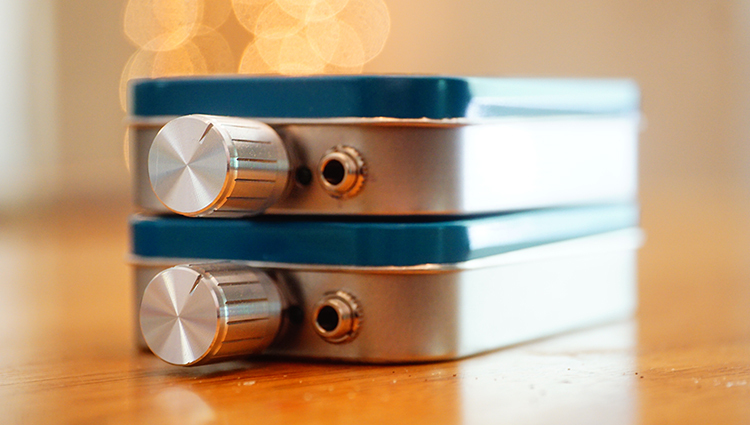 If you are a bass head, you will love either model. Sony XB series owners, RBH Beryllium owners and anyone with headphones geared for fantastic low-end experiences will absolutely want to purchase this amp asap. 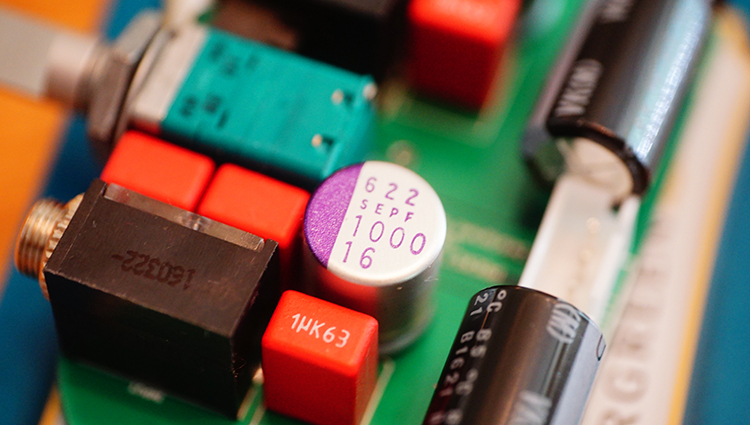 So long as your headphone is 320Ohm and lower, you’ll be fine with power options. Any more than that and these amps can’t handle the extra juice needed to power your inefficient headphones. 320Ohm is my limit here and those headphones that require more power to get better low end out of will be left emaciated and lacking. This is not a powerful amplifier duo, so stick to typical 32ohm to 320ohm headphone models out there and enjoy. Otherwise, I’d be seeking something significantly more potent if your headphones Impedance rating is over 320Ohm. I suggest this because I have a set of 600Ohm earbuds that chug along too much and feel underpowered when used with these amps. Most sources or amplifiers that offer a lot of vivid bass usually end up muddying the midrange, or at least overshadowing it and causing some of the low-end to bleed into the mids. This isn’t at all a problem on either of these amps, but again, that Uber version simply makes the midrange and bass feel even more separate and uniquely spaced from each other. These are not only great bass amps but also amps geared for midrange enthusiasts. The forwardness factor for both models are generally the same to my ear and both offer a plenty forward experience overall. In terms of pure quality offered between the two, the standard model is noticeably less clean but still exceptionally dynamic. The Uber version takes that quality a few steps beyond, effectively becoming one of the juiciest, most well-bloomed (vivid, exaggerated, forward, thick, hefty and of a high physicality factor) amp for midrange I’ve heard in a long time. My Audio Technica ESW11LTD headphone, a model known for exceptional mids and good bass, has never sounded so good on a portable rig before. It has very little to do with quality, which is already good but has everything to do with proper rig pairing: tone and presentation matching. The only flaw of the standard version is that I’ve found the upper end to showcase an overly lacking sense of sparkle, by comparison to the plentiful amount of bass and midrange. This also becomes an issue with staging elements, which I’ll get into in just a bit in the Imaging area. The standard model is still good in its quality experience up top, but physicality and quantity are a but underwhelming. Again, due entirely to the fact that the bass and midrange experience offered is really that well tuned for musicality. The Uber model was a different story in the most positive way. It brutalized my SR71B in quality and quantity across the board, which is a portable amp that still sells for over $600 new. A few headphones out there, like the older AKG Tiesto 267, or maybe even a few select IEM’s from Flare Audio, have offered both a plentiful upper end and also a very clean one…all of which sound yet more beautiful through the more expensive amp of the two. Sparkle factor is just incredible, at least to my ear. I can’t see anyone saying this amplifier is lacking treble density, response or substance. If you have a headphone geared for treble, you will adore this amp in terms of both quality and quantity offered. Yes, it does justice and then some to my $600 Audeze iSine20, as well as the Flare Audio R2Pro. High Sparkle factor in the treble area almost always ends up fused with harshness in physical slam factor: wince, hit and slam in a literal sense and how much you blink or jerk your shoulders when something like a cymbal or snare drum is slammed very hard in the track. Both of these amps offer, without question, a very velvet-like and soft on impact experience. Some people really might not like an extremely mellow sound like this, but I know some like me will. Unless the volume is cranked very high, the odds of you ever saying to yourself that this track sounds fatiguing is very, very low. Fatigue is found nowhere throughout the entire spectrum offered by these amps: bass is gooey and soft, the midrange is hefty and juicy no matter what I am listening to and the treble is well suited for hours of usage. My $2000 Airist Audio Heron 5 was one of the smoothest and softest sounding home desktop amps I’ve come across in a while, but A/B comparing these two portable amps from Xrk971 to my Heron 5, via the exact same source playing the same track, results in the Heron 5 feeling a bit too harsh on impact and slam factor. Either of these amps will be fantastic for anyone who feels their source and headphone are in need of some depleting of harshness factor, but who don’t want to give up said headphone or source. If you are still with me so far, the fantastic value doesn’t end. Both of these amps offer excellent imaging capabilities. In fact, I revert again to the 71B and some other portable amps on the market sub $400 or so, even used, that cannot best this. How can a Class-A sound that dynamic and realistic with regard to staging elements? I am immensely impressed here. I still have my years old Cmoy and it simply doesn’t even remotely hold a candle to the staging quality offered here on both of these Xrk971 amps. I hear not a single difference in realism and depth factor when plugging in my iSine20 from Audeze in the Uber amp vs using it directly out of my Plenue M. The Cowon Plenue M is pretty good with staging qualities and pretty much no portable amp will actually improve the staging elements of a great portable high-end music player. I cannot tell them apart in that regard. That is how good the staging properties really are on these amps. Yes, the Uber model is even better than the standard, but the standard is no slouch either and still sounds excellent in all staging qualities offered. Height, width, depth of field, airiness and realism factor are 9.5/10 for both models when the price is considered among them. The Uber model definitely sounds even more realistic and well formed. And that last statement (well-formed) is hard to achieve in amp presentations. There is always something very lacking. If the depth of field is great, it might sound closed in and lack width, for example. But for the life of me, I cannot spot any deficiencies in staging for either amp. It has been a struggle for me to find an amp potent enough in musicality factor and heft that can actually ignore all of the traits and qualities of my Cowon Plenue M portable player. When pairing my Plenue M with the upgraded model amp here, the result is immensely engaging and enjoyable with my ESW11LTD. Of course, I’ve found other excellent pairings as well. For example, the VE Zen2 earbud + XRK971’s amp duo ended up sounding more enjoyable than when I pair the same earbuds to my high-end home desktop rig. Again, it isn’t always about quality or accuracy. Sometimes, you just want to enjoy what you are hearing and there are times when I want older recordings to sound heftier, vivid and thicker than their usually thinner selves. No doubt, these two amps let me do that often, I pair them with my high-end DAC just so I can experience that tonal substance factor that is off the charts good on them and with select other headphones that only accentuate said substance (heft to the experience, weight carried) factor. For the price, I’ve not come across anything that offers value on this level. I hope XRK971 decides to build his own legitimate business and takes his knowledge of circuitry into a much bigger platform for sale in the community. He has done a marvelous job tailoring the sound of the versions I’ve received for high musicality factor and absurd substance carried from top to bottom. Sure, the standard model is a bit boomy in the bass and a little lacking in treble heft, but the higher end model is only $77 more and really steps up the quality game to an audible degree. Both amps are very good and I think the musicality chasers out there, like me, are going to really enjoy it. Purists will hate it, but those seeking a fun, non-fatiguing sound will want to take a gander at these fantastic amps. i have hifiman 400 and plan to buy monoprice 1016. would xrk uber work well with both ? would i be better off with oppo ha-2se ? i do not have a dac. i use spotify on iphone se and on google chromebook. thank you. Is that the IEM 400, or the full size planar HE400/s? Either way, I think you’ll be just fine with it. It is not a super powerful amp, it seems derived for very efficient headphones. But, quality will be stellar on that. I’ve not used the Monoprices yet to know how they’d fair here. As for the XRK vs HA2se, I would say the XRK has superior quality all around but the Oppo has obviously more features and is more well rounded. I recommend the XRK if you dont need a DAC. Pair it with a mid tier portable music player or with a laptop that has a decent audio card if possible. But if you need a DAC, then the oppo is the better route. 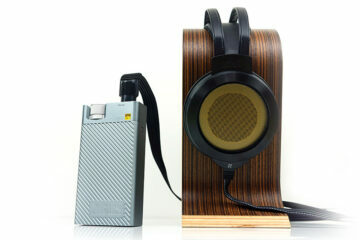 This one vs the Duet by Cypherlabs, with some planar as Hifiman He560, how do you see that? 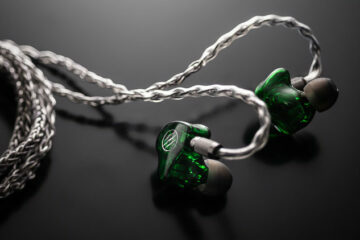 The Duet has a much higher output power rating and suitable for Planars. For the HE560 though I think you’d be fine with the XRK. In terms of sound quality, I’ve been a while since I’ve heard that older model from Cypherlabs so I couldn’t really say. However, I think the HE560 from hifiman is well below the threshhold for quality needed to justify the XRK’s top amp circuit. I think you can max out the quality of the 560 with a far lesser portable amp. I think the quality ratio on the XRK is actually too good for the HE560. Which means I think you should be using much better sounding headphones with it to justify it. But yes, the XRK will do fine for the HE560 for power needs and actually be overkill for quality output with the HE560. So about the quality can you compare the Duet and the XRK? I don’t understand if the quality ratio that you mention, to good for the HE560, it is so only for this amp or also for the Duet. The XRK top model version is too good for the HE560. You can buy lesser amplifier and still max out the best quality the HE560 can give you. The Duet, I am not sure. I have not used the Duet with the HE560 and it has been a while since I have heard it. The problem with the XRK is that the power output is not great. It is not intended for very inefficient headphones. The HE560 + the XRK Uber model will be a great combination. I recommend the XRK Uber. Thanks for the info, I really apprexiate it :). Can I ask which headphones sounds better pairing with this amp? Everything will sound nice on it, the quality is excellent. But, usually I’d be recommending Musical headphones to go with Musical amps like this. Good Bass, sparkle and exaggerated treble headphones would sound best. May I ask in your opinion an example of what these musical headphone are? It’s very interesting that you mention a Ray Samuels Audio product in your review. What has happened to that brand? No new products in years and the website gets updated just as infrequently. Have you heard anything about what’s going on with the company lately? I’ve lost contact with Ray a few years ago. Not a clue, which is saddening to me.